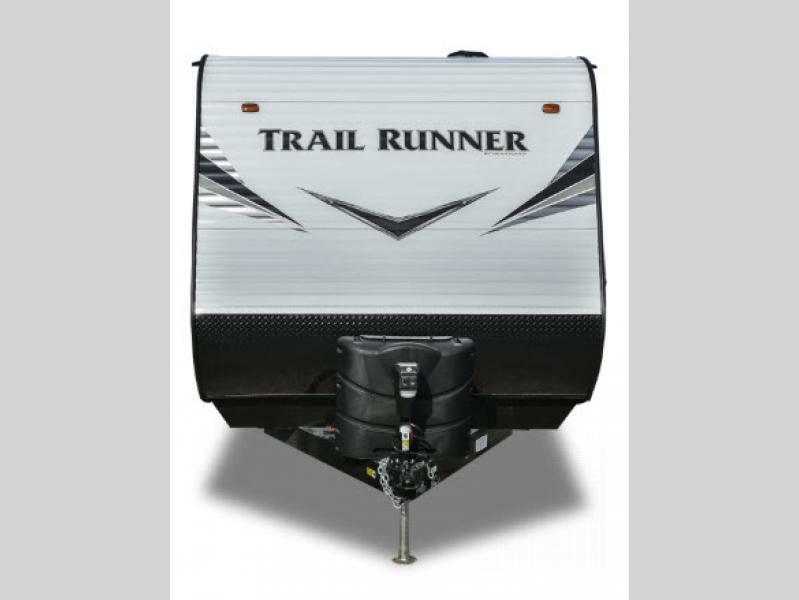 The Trail Runner travel trailer and toy hauler by Heartland provides loads of features for a price that allows more trips with the family. 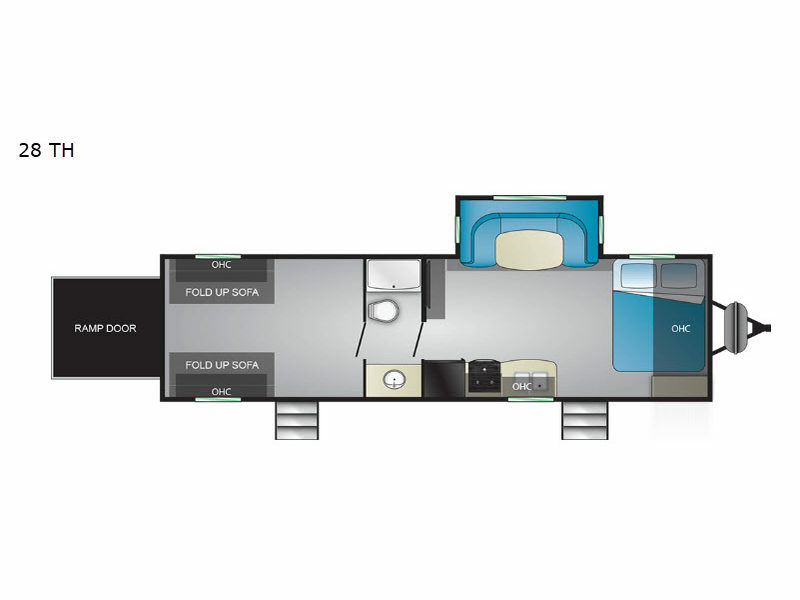 The models range in lengths from 29' 10" to 37' 2" with several floor plans to choose from. 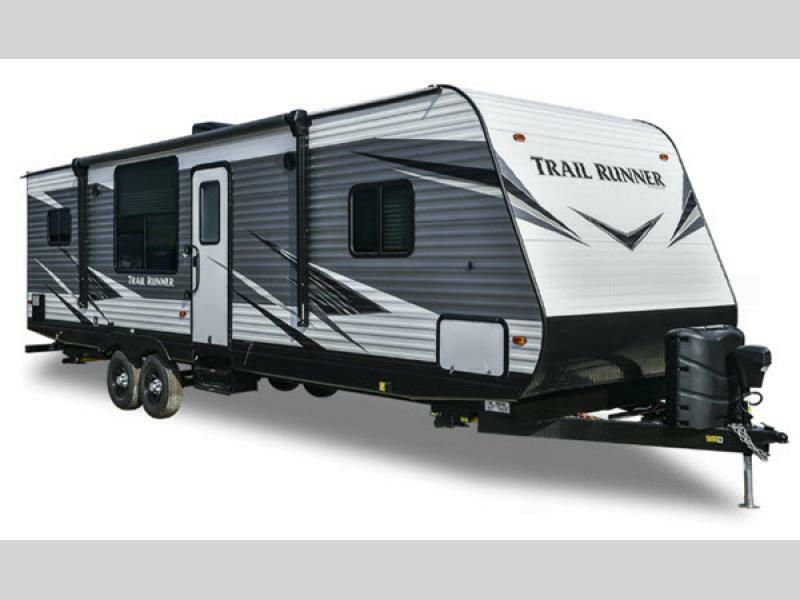 From the cambered structural steel l-beam frame, aluminum exterior skin sidewalls with fiberglass insulation, and aerodynamic radius front profile, to the LED interior lights, stainless steel appliances, and designer shower curtain with curved shower track, you just can't go wrong with any Trail Runner unit. Let a Trail Runner travel trailer or toy hauler by Heartland be your own little piece of paradise!